Plot: Every lifetime is composed of millions of memories… but what happens if those memories don’t all connect? 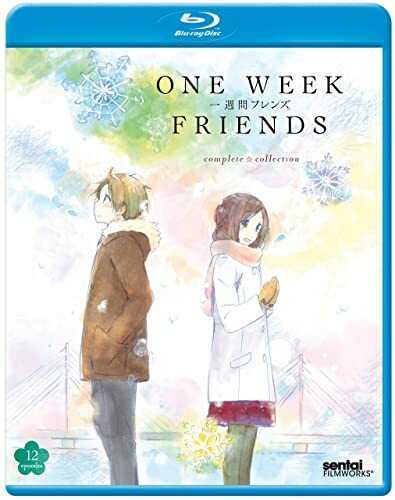 When Yuki Hase notices that Kaori Fujimiya seems to be alone and friendless at his school, he immediately wants to reach out to her. Much to his surprise, though, his overtures are turned down, and he’s completely stunned when he finds out why: it seems that ever since she was in a tragic accident, Kaori has been losing part of her memory every Monday, including all her recollection of everyone who’s become her friend. It’s not that she doesn’t want friends, but that she can’t remember having any. That’s not enough of an obstacle for Yuki, however, and he becomes determined to make friends with Kaori every week. Because while most memories fade, there are some that, if you believe strongly enough and never give up, might just be able to last forever. Prepare to fall in love, over and over again, as the age old story of boy meets girl repeats itself every week in ONE WEEK FRIENDS.